HTC is continuously building a powerful and user oriented brand in the smartphone industry. 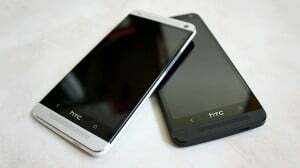 In 2013, they said that HTC One’s users will get the new Android update till the end of January. So there it is ! The new update includes cloud printing service and Blueetooth profiles – integrated parts for other KitKat handsets. After not supporting anymore Adobe Flash since 2012, the new Android stopped the support for it. On HTC Sense 5.5 the 4.4.2 update brings just a small modification. The battery icon is now white on white, as KitKat stock, instead of that Jelly Bean colour. These are good news for the European market, but U.S. users don’t be upset. The certification for the American update is on role, so expect soon for an update for these users too.